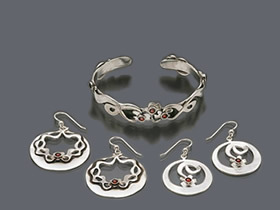 Dimensions: 1 ½ inches tall and 2 ¼ inches wide (from beak to end of feathers). 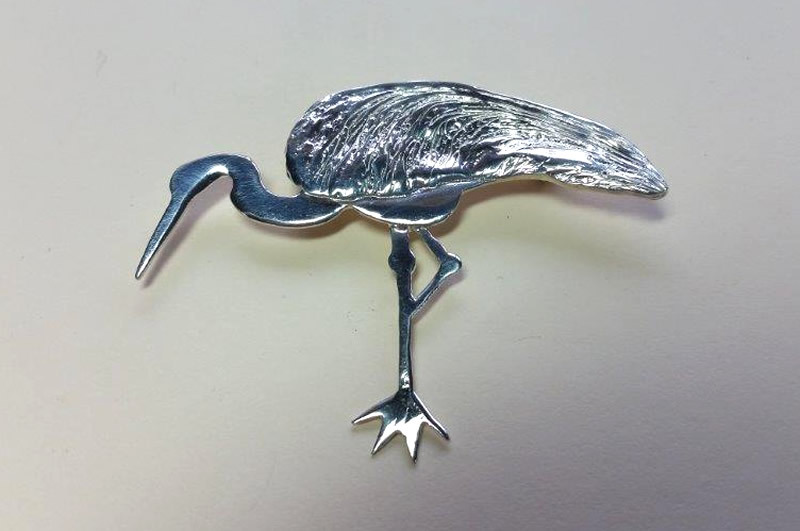 Description: This crane is sterling silver. The body is smooth and the feathers have a grooved texture (made from an impression of a maple seed; perhaps you can see it lying on its side on the back of the crane). I live in a rural area where there are many cranes. 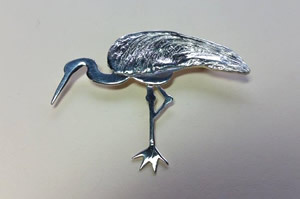 I am an avid birdwatcher and the elegant cranes have inspired me to design this pin.